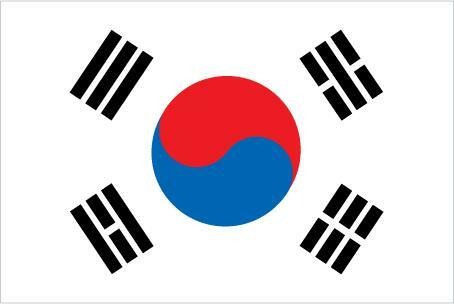 Ok ok so Korea is not technically a country, but cut me a little slack here as I’m currently filled with the Olympic spirit. Seriously I am certified Olympics nerd. I love every single thing about the Olympics. The pomp and circumstance, the citizens of the world coming together, the spirit of competition. I DVR every bit of it, grab the kleenex to get me through the wonderful personal stories and cheer for favorites and underdogs alike. I also have a strict “make no plans during the opening ceremonies policy,” so this past Friday night I settled in with a bottle of wine, my mock soy sauce and a everything I would need to make Haemul Pajeon. 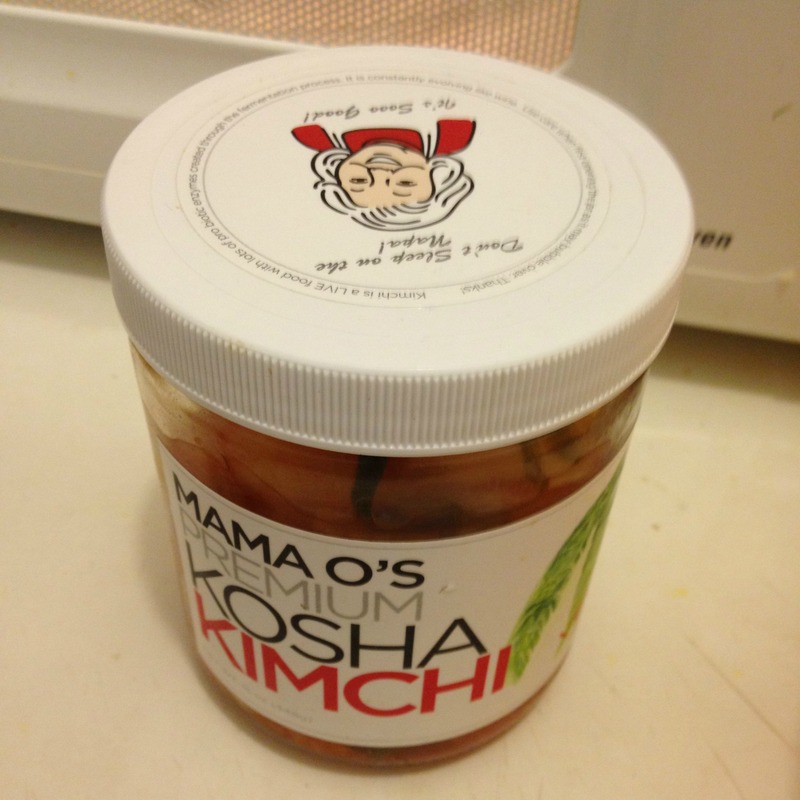 I am addicted to Mama O’s Kimchi! I had expected my head to explode from excitement being that I am both a total Olympics nerd and a huge anglophile, but like most people I found these opening ceremonies a bit disappointing except for the part with David Beckham in a suit on a b… ooohh there I go again, sorry! They weren’t bad, just a bit underwhelming. Still the part I look forward to most, the parade of nations, was as joyous and heartwarming as ever. My favorite’s are the countries that have one or two athletes. Can you even imagine the pride and excitement? I’m sure for these athletes just being there is a victory in itself and I contend that even the lowest ranked Olympian in any sport is still a thousand times better than myself and pretty much anyone reading this blog at their particular sport. 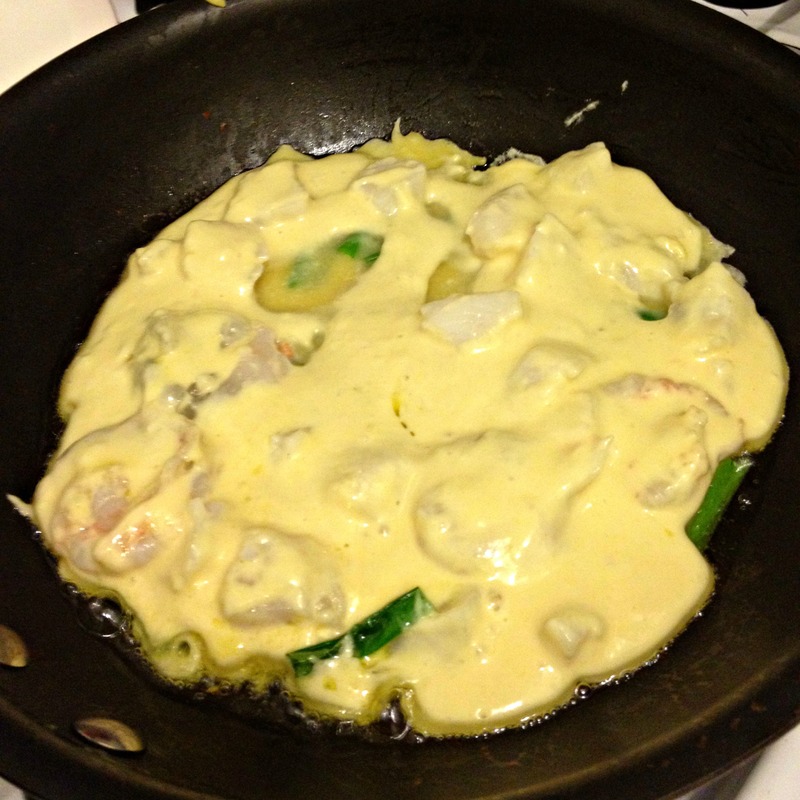 In a mixing bowl combine flour, water, eggs, garlic and sauce. Gently fold in seafood. Heat a bit of the oil in a medium frying pan over medium high heat. When the oil is hot, scatter some of the scallions in the pan and cook one minute. Ladle some of the batter over the scallions, covering them completely and allow to cook until the underside is browned and firm enough to flip; about 5 minutes depending on the thickness of your pancake. Use two spatulas to flip that pancake and cook 5 more minutes. Cut in to wedges and serve with dipping sauce, rice and kimchi. This is one of those recipes that could definitely be an “A” with a little tweaking. It was tasty and I liked the texture a lot, but I wish I’d used more scallions and more garlic to give it more flavor. Also next time I’d like to make them a bit thinner. I could, however, just drink shots of that dipping sauce. YUM! Perfect Olympic meal. I had left over brown rice so that’s what I had long with some kimchi. I forgot to put the dipping sauce in the picture. 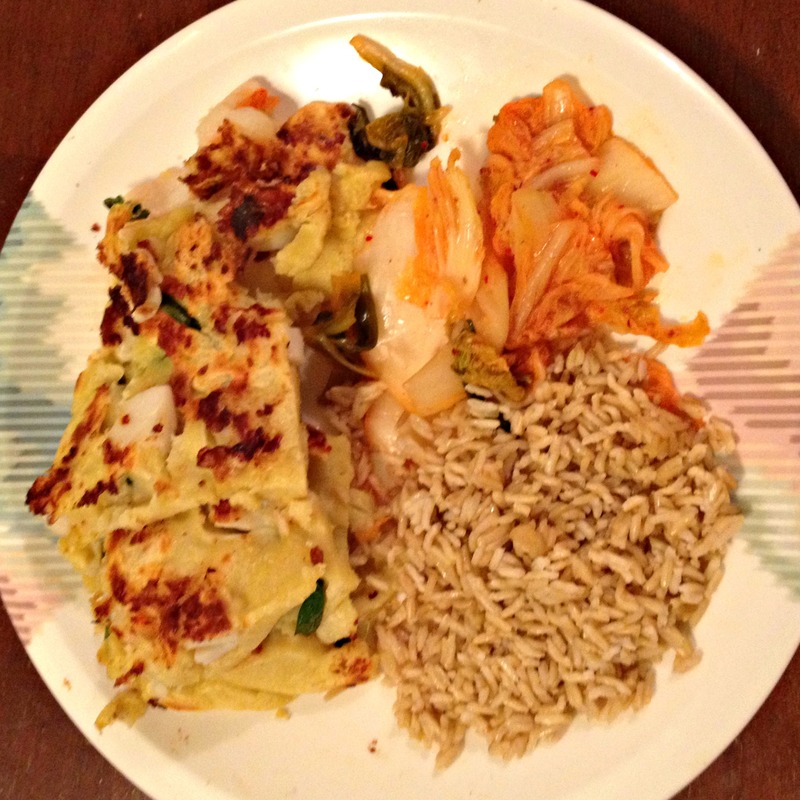 This entry was posted in Uncategorized and tagged Fish, Korea, Recipes. Yum! That sounds delicious! I haven’t heard of a dish like this before!